Google Fit is getting a major update today. The company’s activity tracking app has been around for a few years now but until today, it pretty much worked and looked that same as on the day it launched. Today’s redesign is quite a departure from that old look and feel, though, and it also introduces quite a few new features that help take the service in a new direction. The most obvious new feature in the new version is that instead of only focusing on active minutes (or ‘Move Minutes’ as they are called now), Google has now introduced the concept of Heart Points. With this, you don’t just score points for moving, the app will also reward you for activities that actually get your heart beating a bit faster. Google Fit will give you one point for every minute of moderate activity and double points for more intense activities (think running or kickboxing). You won’t be able to buy anything with those points, but you’re more likely to live longer, so there’s that. 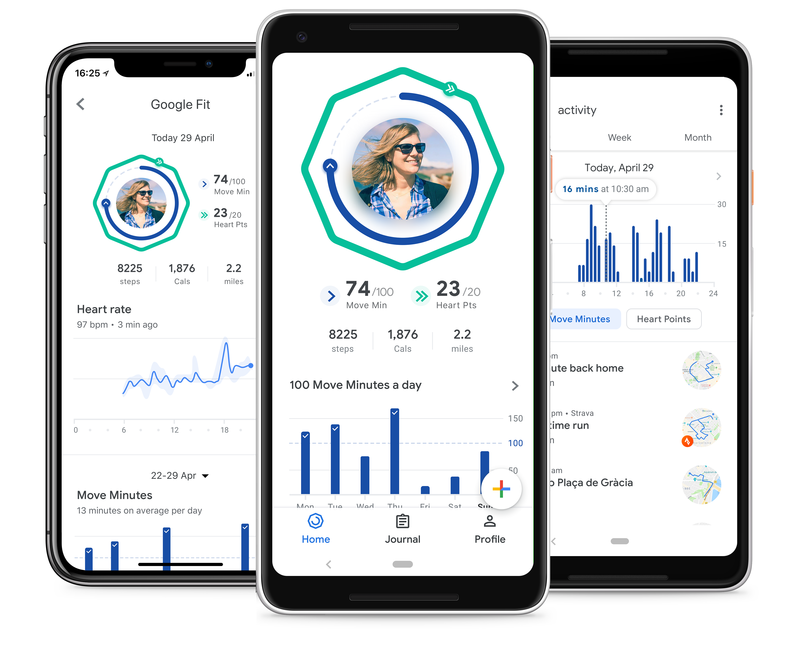 Like before, Google Fit will automatically track your activities thanks to the sensors in your phone or Wear OS watch. You can always manually add activities, too, or use apps like Strava, Runkeeper, Endomondo and MyFitnessPal to get credit for the workouts you track with them. What’s also new in this update is actionable coaching, something that was sorely missing from the old version. It remains to be seen how useful this new feature is in day-to-day use, but the idea here is to give you feedback on how active you’ve been throughout the week and help you stay motivated. What I’m actually the most excited about, though, is the new look and feel. Based on the screenshots Google has shared so far, the app now provides you with far more details at a glance, without having to dig into timelines (which weren’t all that usable in the old version to begin with). The new version is now rolling out to Android and Wear OS users.